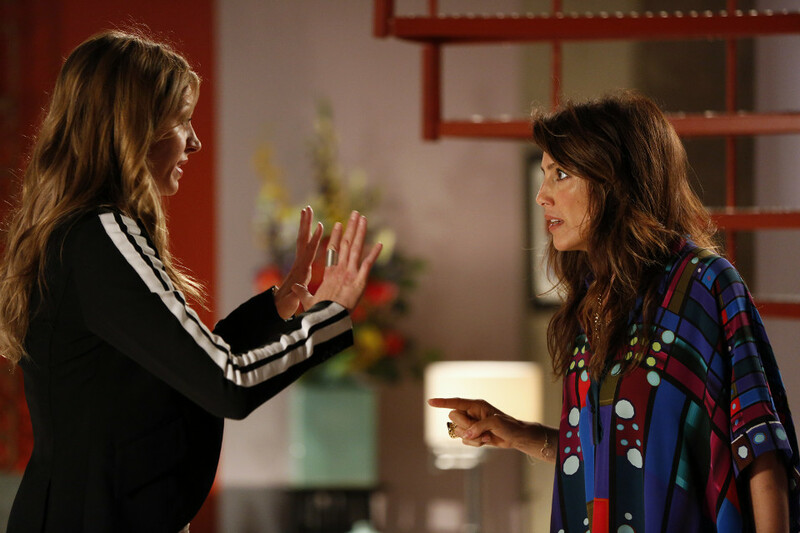 Joss (Jes Macallan) started to question her friendship with Calista (Jennifer Esposito) on the latest episode of Mistresses. Rather than telling the police of their plan, Calista made Joss look like a liar and turned her into the prime suspect in the case of Luca’s (Noam Jenkins) death. Joss was left swinging in the wind as she tried to understand Calista’s actions. Elsewhere in the episode Vivian (Sonja Bennett) returned home and found out about Karen (Yunjin Kim) and Alec’s (Ed Quinn) romp, Lucy (Corinne Massiah) saw a strict side of Blair (Brian White) that she wasn’t prepared for, and Mark (Rob Mayes) neared rock bottom when his self-esteem took a hit. The next episode of the season is Unreliable Witnesses. A visit to the doctor leaves Karen stunned; Blair and April’s relationship moves forward; Harry helps Marc battle his demons; Joss desperately needs evidence against Calista.